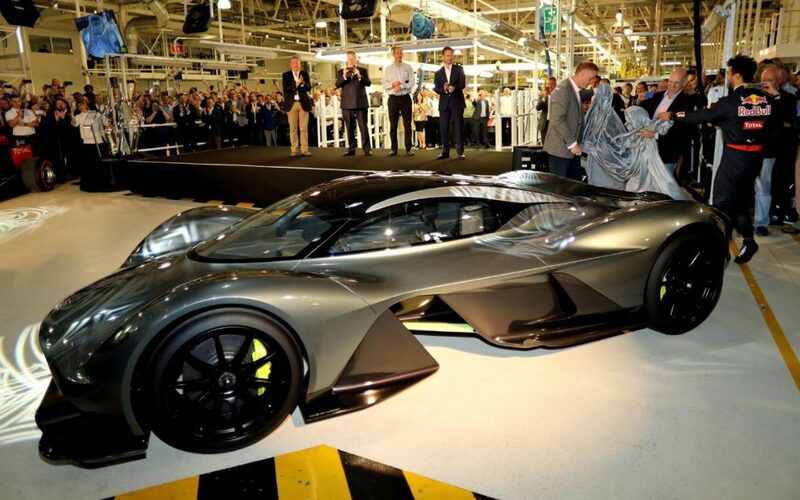 Aston Martin is still developing their latest hypercar AM-RB 001 with official name Aston Martin Valkyrie. Since the hypercar exhibited for the first time in July 2016, now Aston Martin with Red Bull Advanced Technologies and AF Racing project partners have been working intensively to develop aerodynamics, body styling and cockpit of this hypercar. Now, Aston Martin began to leak the look of the Aston Martin Valkyrie hypercar both exterior and interior. Aston Martin Valkyrie design form is indeed quite unique with a form that is more concerned with aerodynamics. 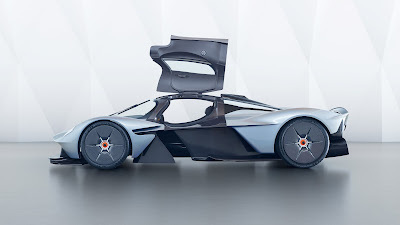 As written in a press release on Monday, July 17, 2017, this hypercar has an upper cockpit surface with a teardrop shape and the bottom chassis with a Venturi tunnel that extends and crosses the cockpit floor. Venturi tunnel is responsible for accommodating air passing under the car and forwarded to the rear diffuser. 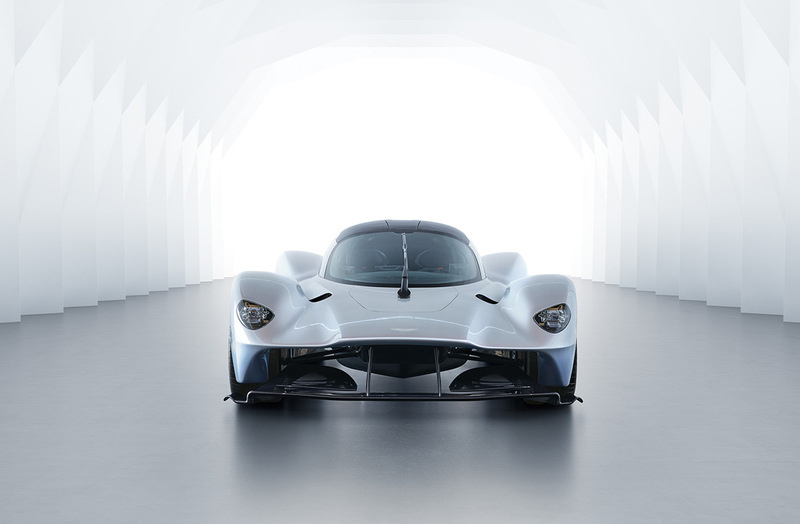 The Venturi tunnel section is key in generating downforce for Aston Martin Valkyrie. 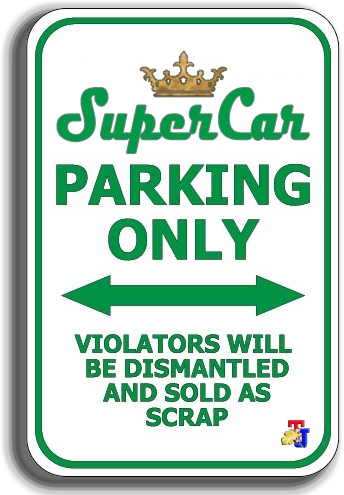 That way, the top of the car does not require additional aerodynamic devices that could damage the car's design aesthetics. 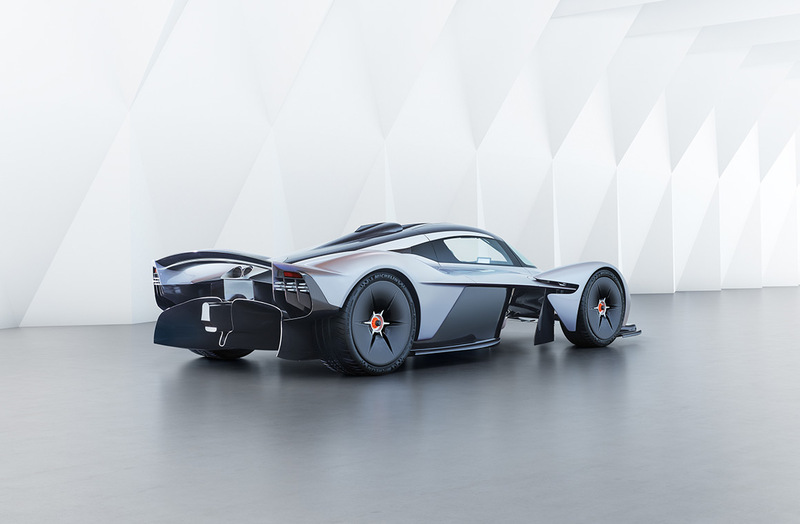 Aston Martin Valkyrie has a headlight that gets inspired by the functionalities of Formula 1 car components. The headlights on this car are 30-40 percent lighter than the lightest Aston Martin production headlamps currently available. 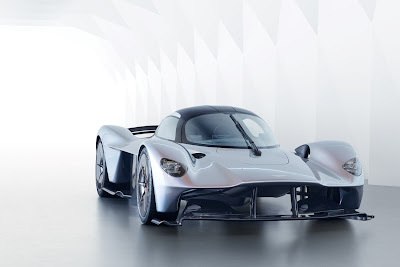 Aston Martin logo badge in this car is also called lighter than the regular Aston Martin logo badge that is considered too heavy and a simple logo sticker not suitable for Aston Martin Valkyrie car's quality. The Aston Martin Design Team found an aluminum badge carved with chemicals that only had a thickness of 70 microns. That means it's 30 percent thinner than a human hair and 99.4 percent lighter than any other Aston Martin badge. From the photos released, on the car is not seen the rearview mirror because it has been replaced by the camera. With the camera, there will be no more aerodynamic disturbances due to the rearview mirror and make the driver's view almost undisturbed. 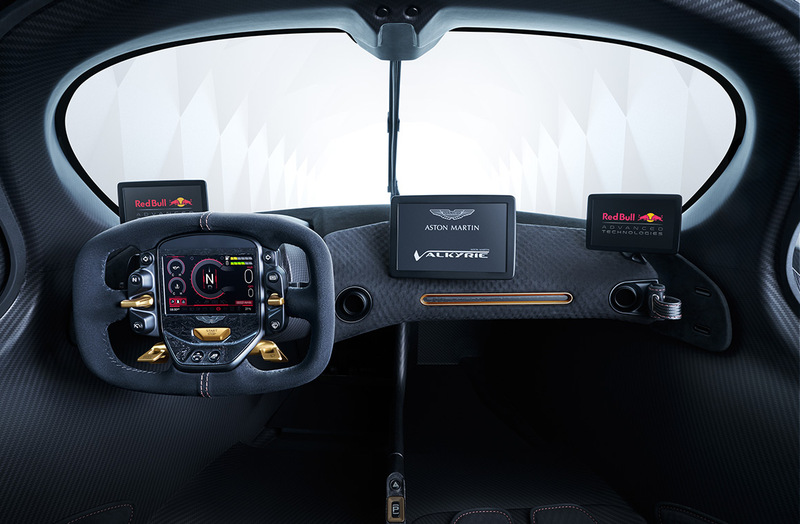 Turning to the interior, Aston Martin Valkyrie seat directly pinned to the chassis with the position of the legs stretched straight ahead, similar to the Formula 1 racing car and 24 Hours Le Mans Prototype. With this position, drivers and passengers will feel very safe and truly become one with the car. 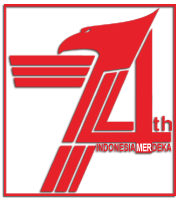 This car has a four-point safety belt as its standard.